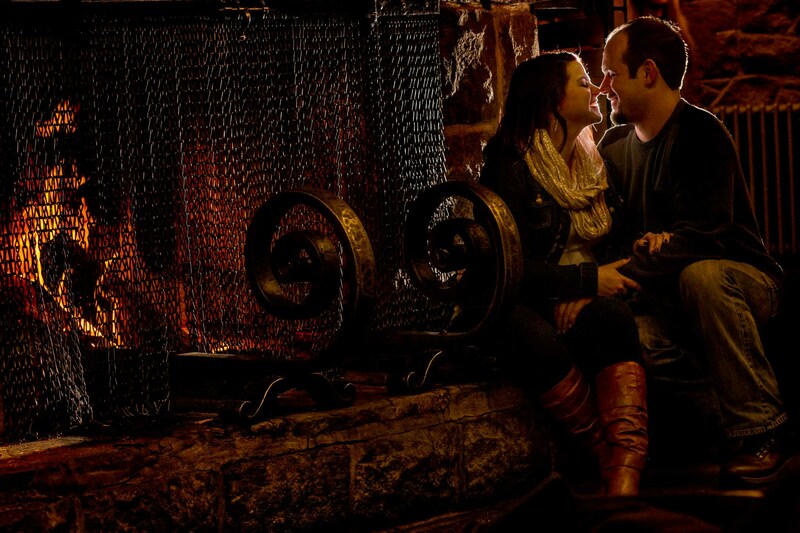 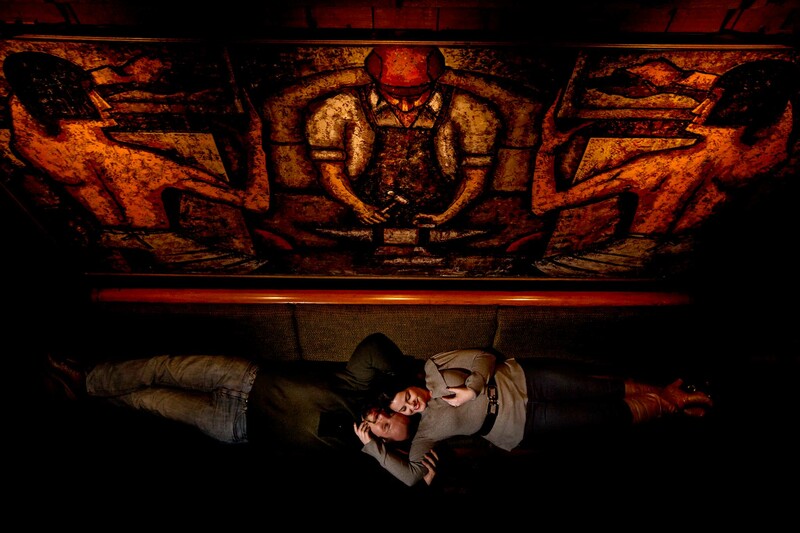 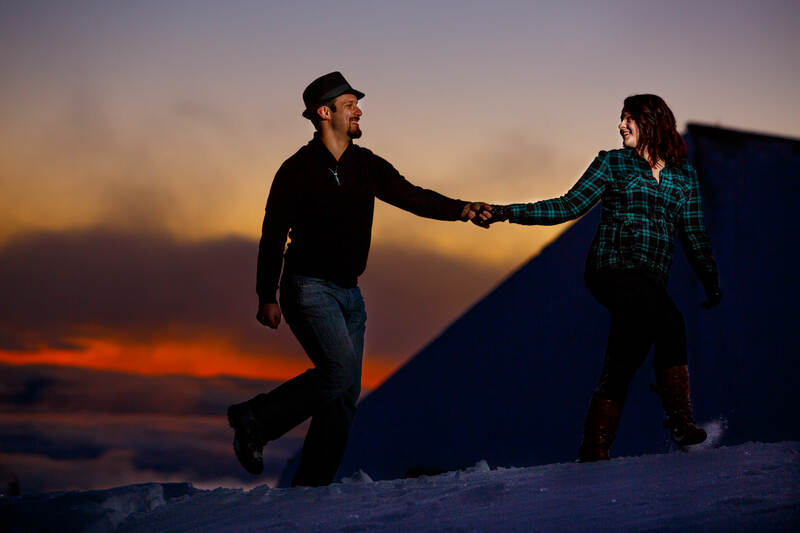 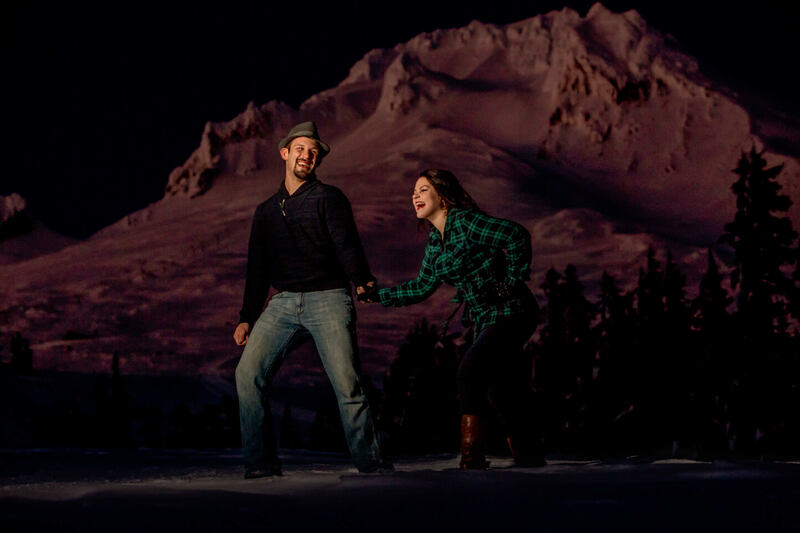 Emily and Jeremy are true adventurers and share an undeniable enthusiasm and love for life. 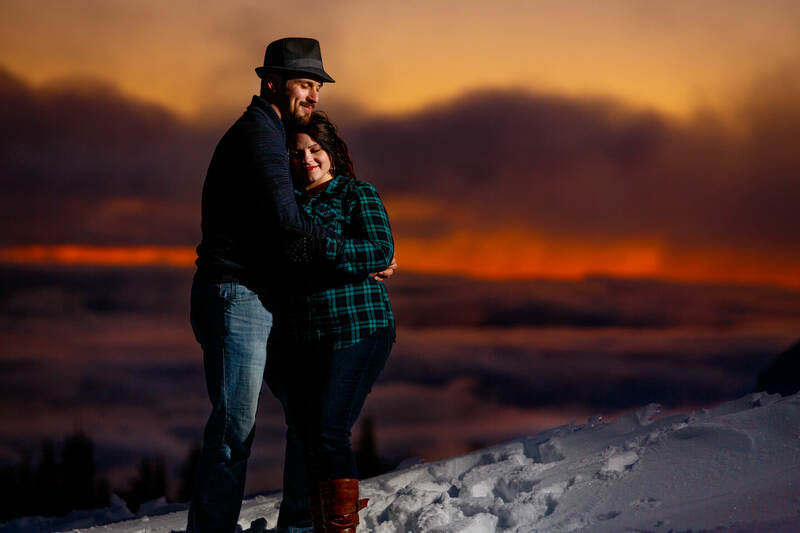 We are convinced the color of the sky in these photos pretty much perfectly matches up the depth and love they share for each other, their friends, and family. 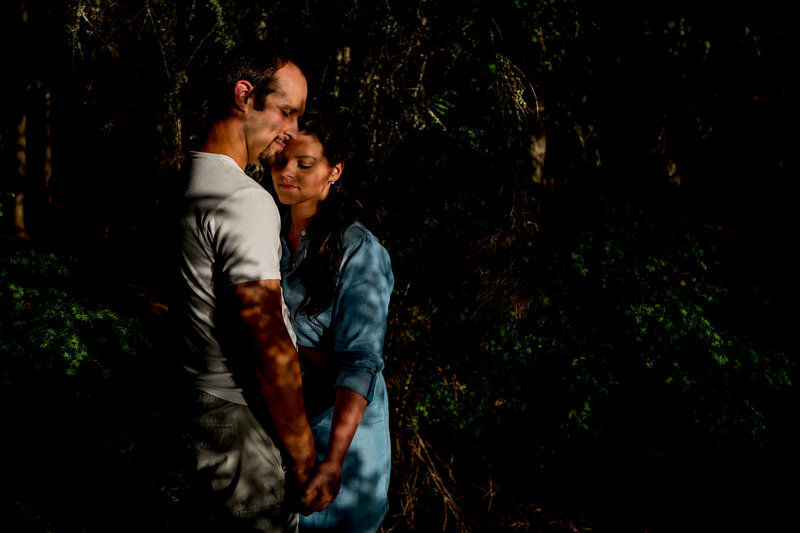 Emily and Jeremy value everything authentic. 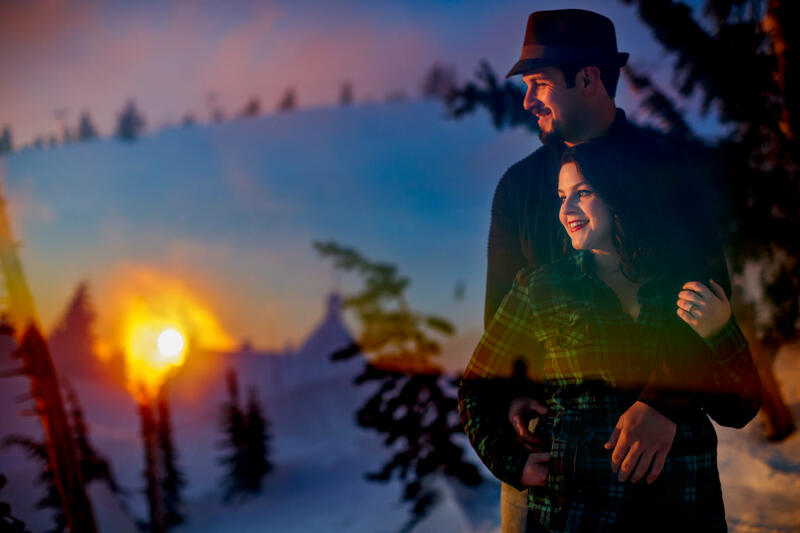 Many of the things they own in their home are personally hand made; when it comes to photography they want it to match an original, pure, and intimate feeling that brings them back to their experiences. 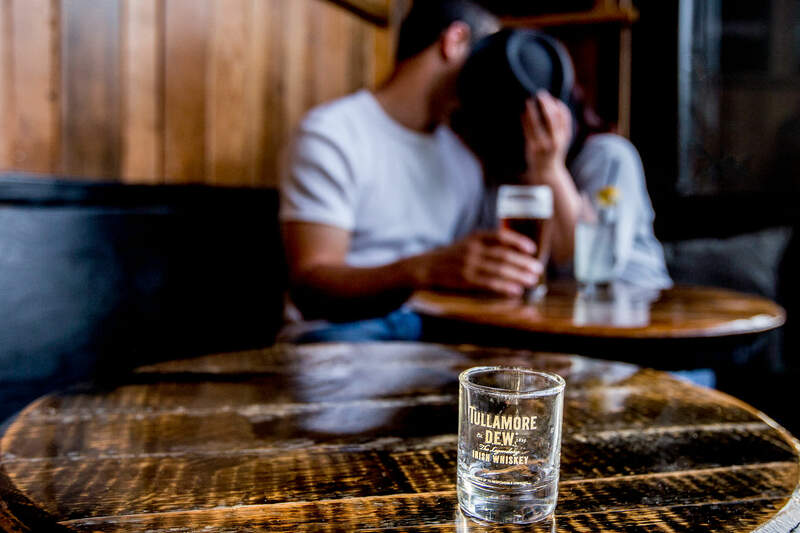 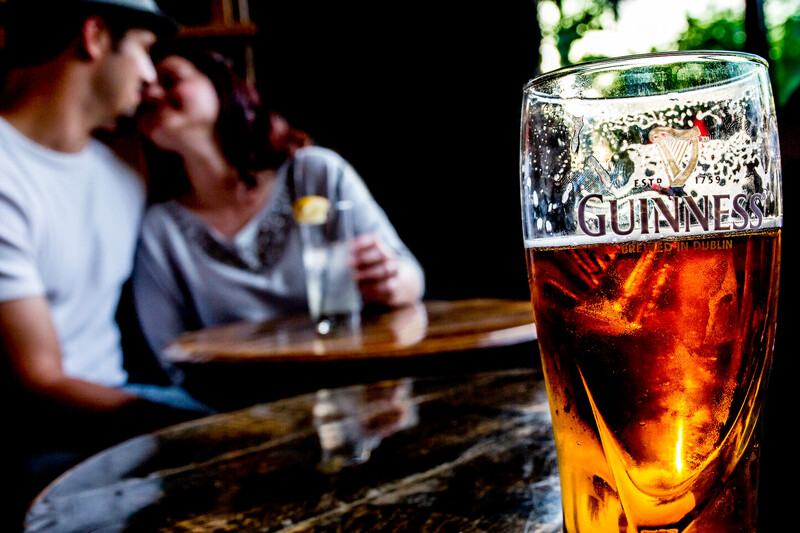 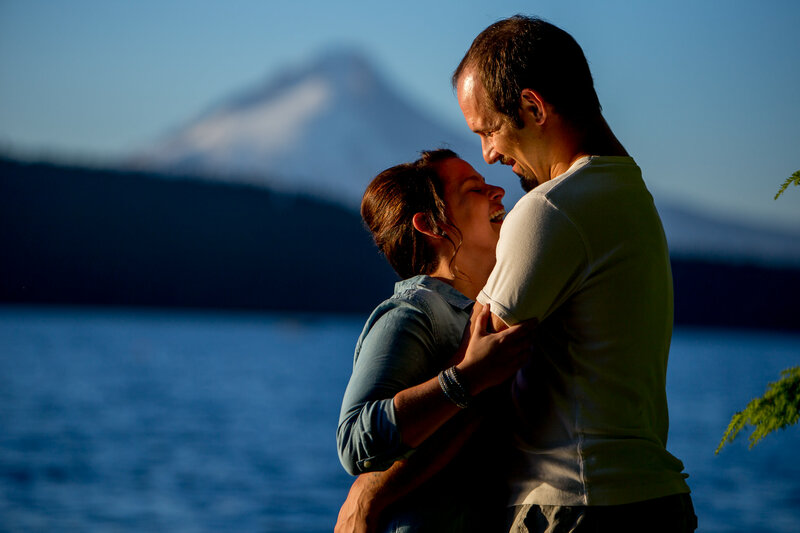 We love this about them and are extra inspired to find these moments between them. 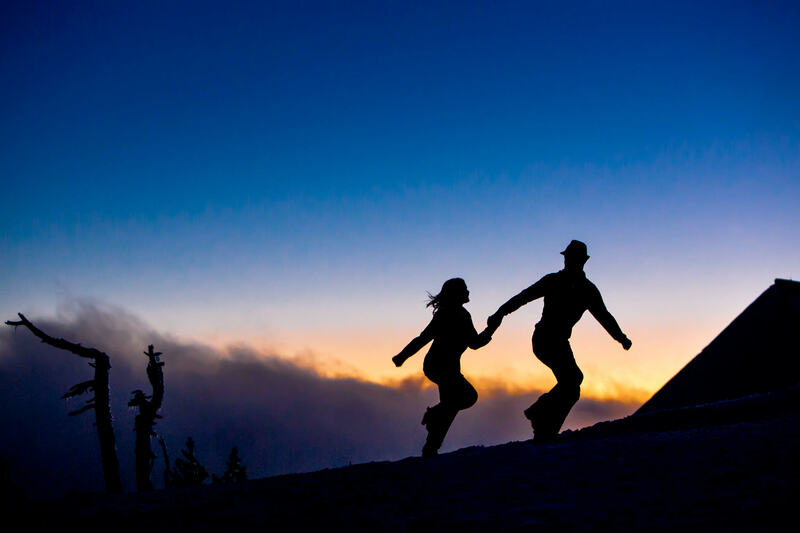 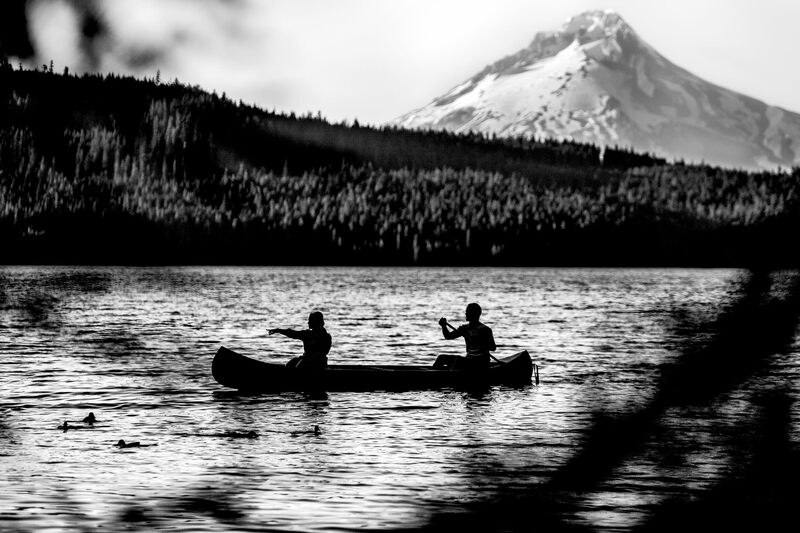 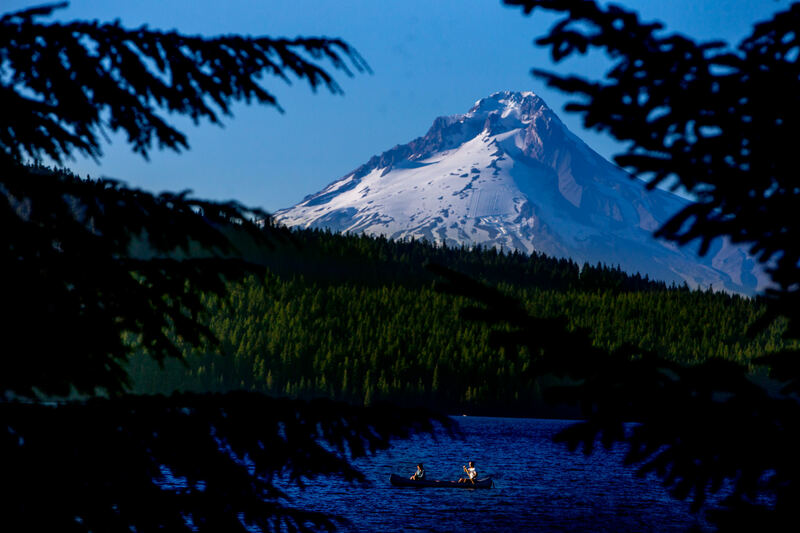 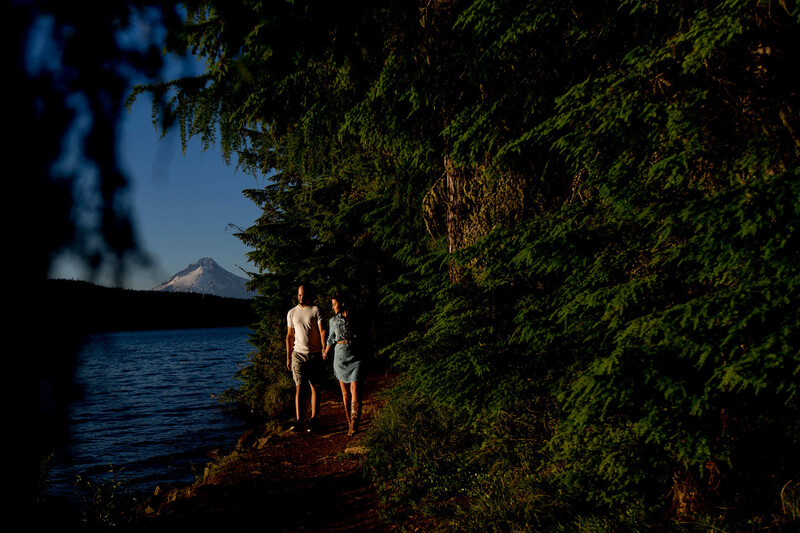 Timberline Lodge and the majesty of Mt. 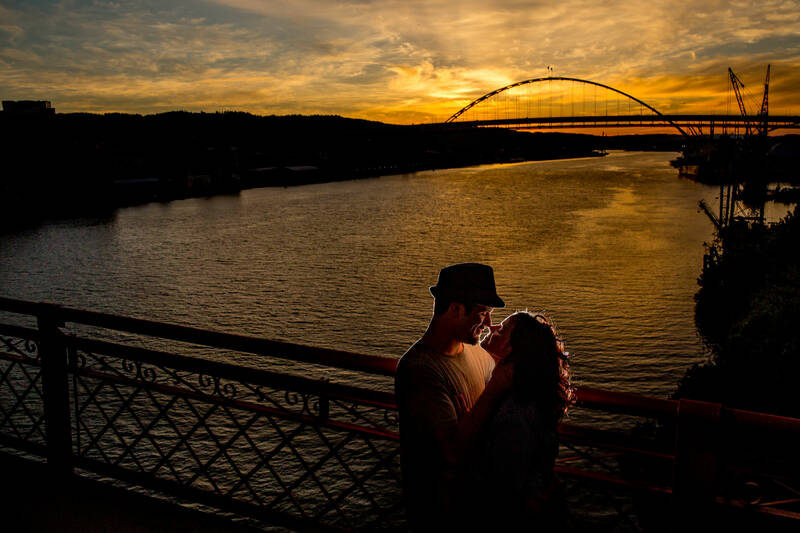 Hood and the golden light was the perfect backdrop to celebrate their engagement. 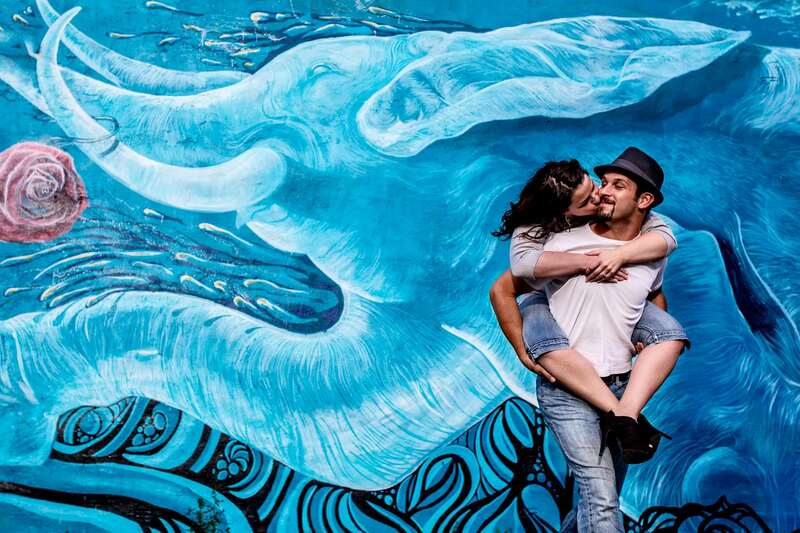 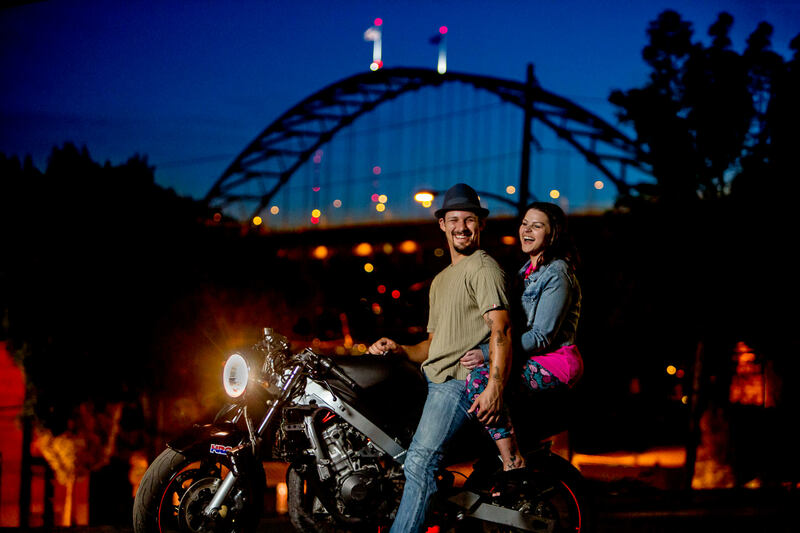 They love to adventure so much we went on two additional lifestyle engagement shoots exploring Portland bridges and the charm and funk of NE Portland. 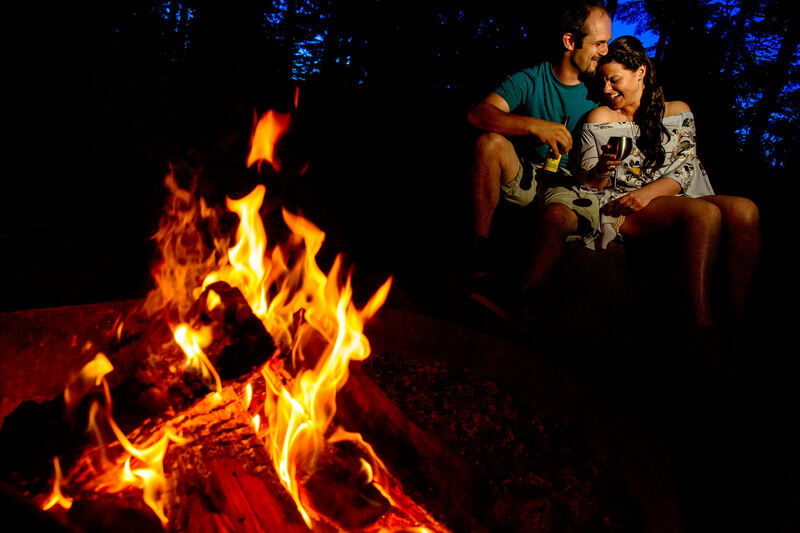 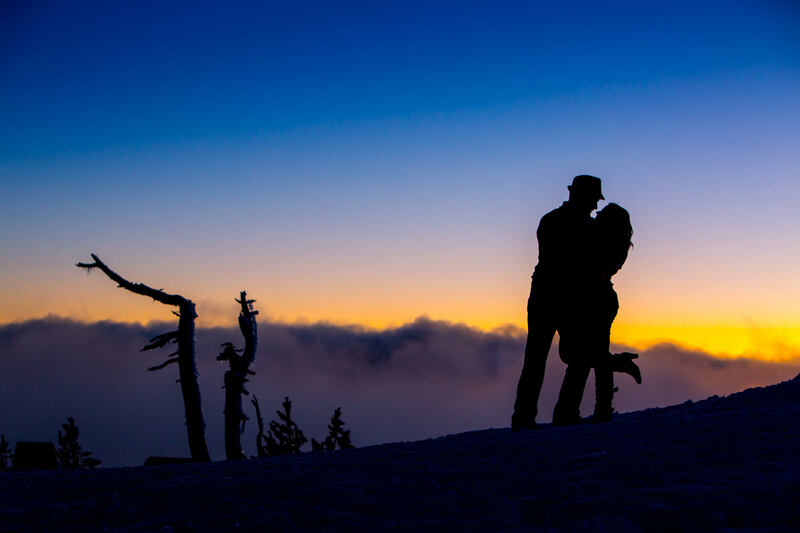 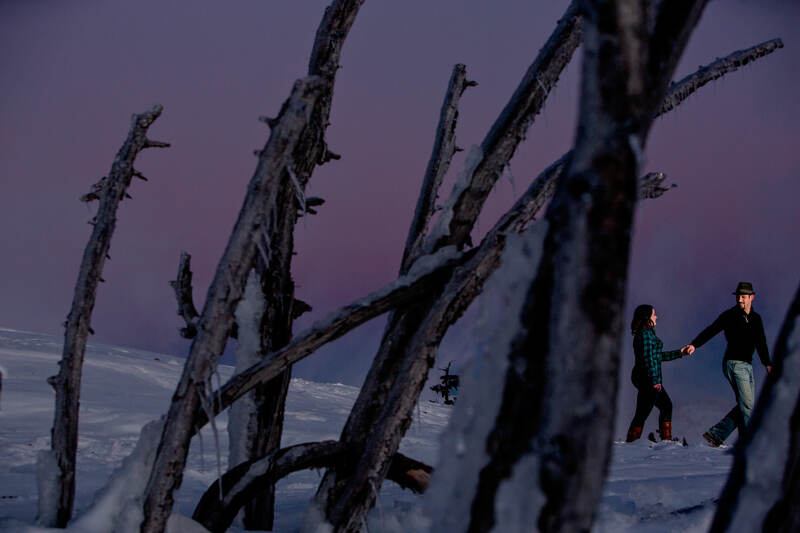 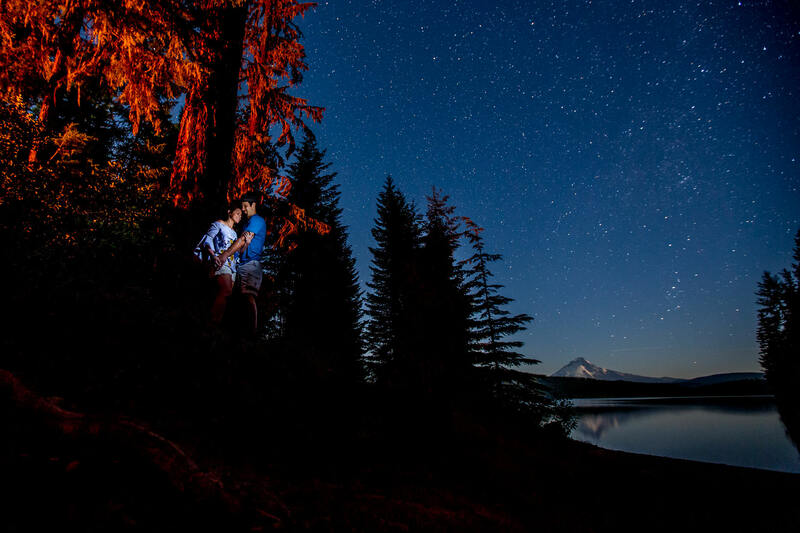 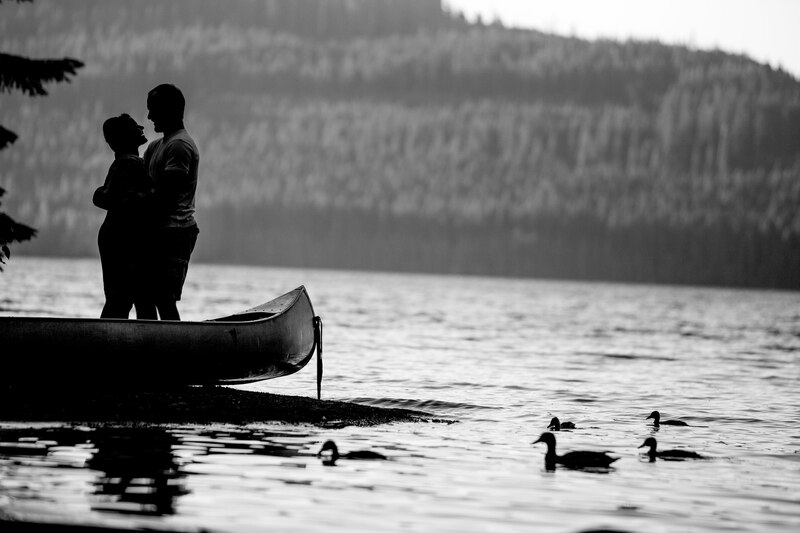 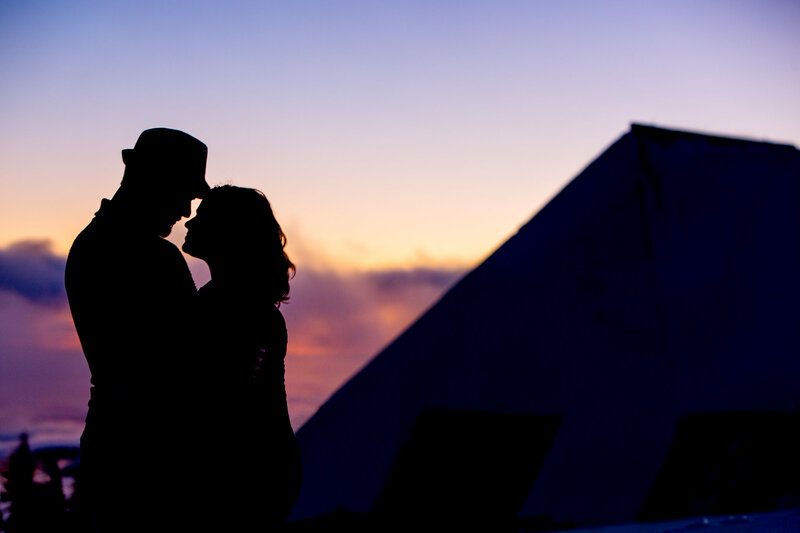 And just a few weeks before their wedding they spent quality time at Timothy Lake canoeing, wandering along the lakeside, snuggling near a camp fire, and even a midnight astro shot. 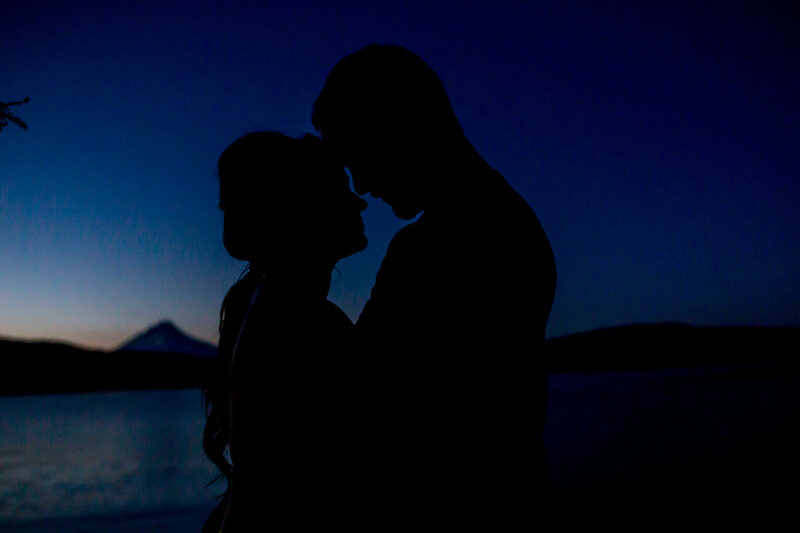 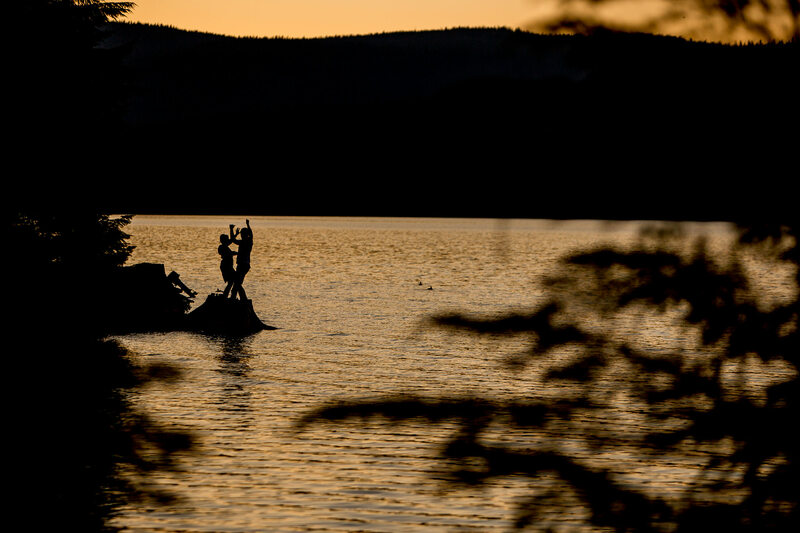 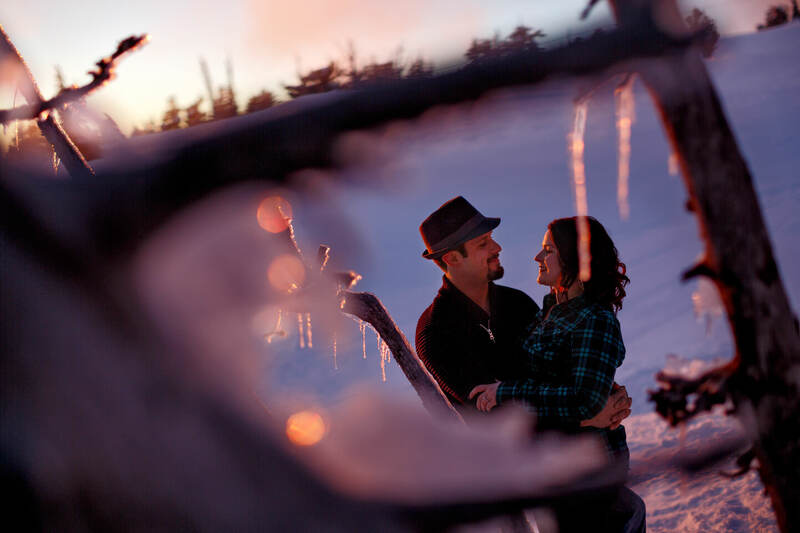 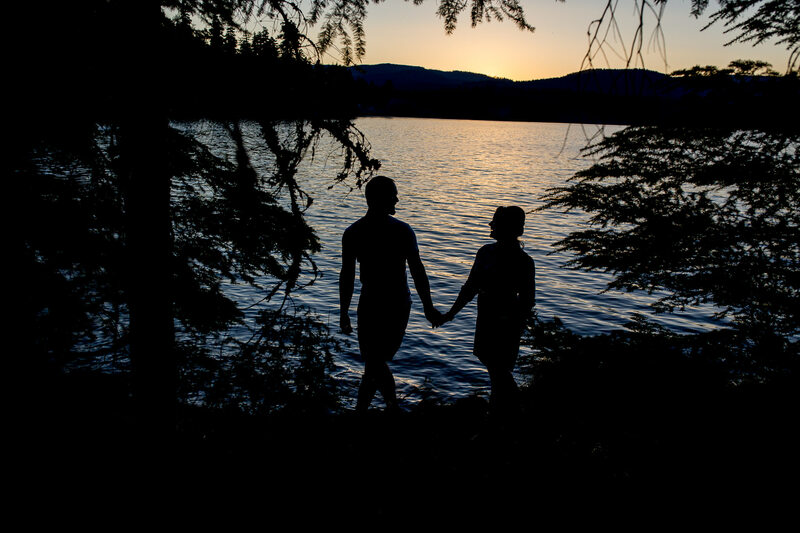 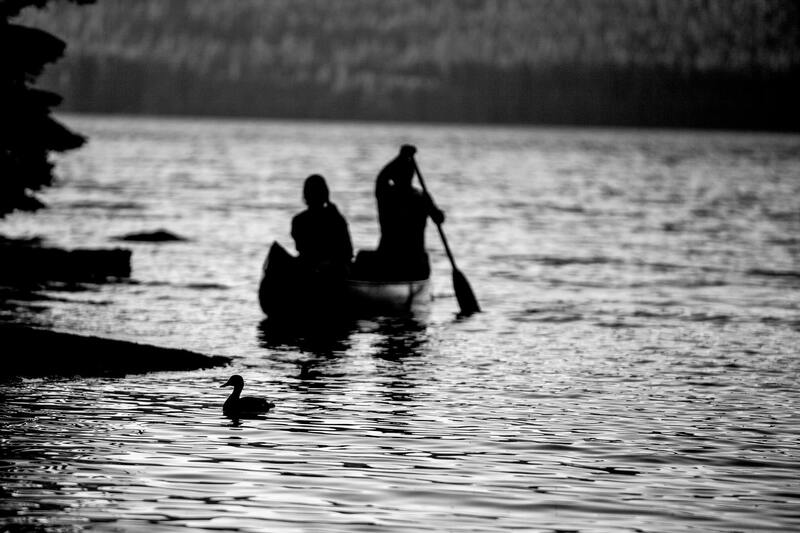 Timothy Lake gave them wonderful time to relax and reflect on their upcoming wedding. 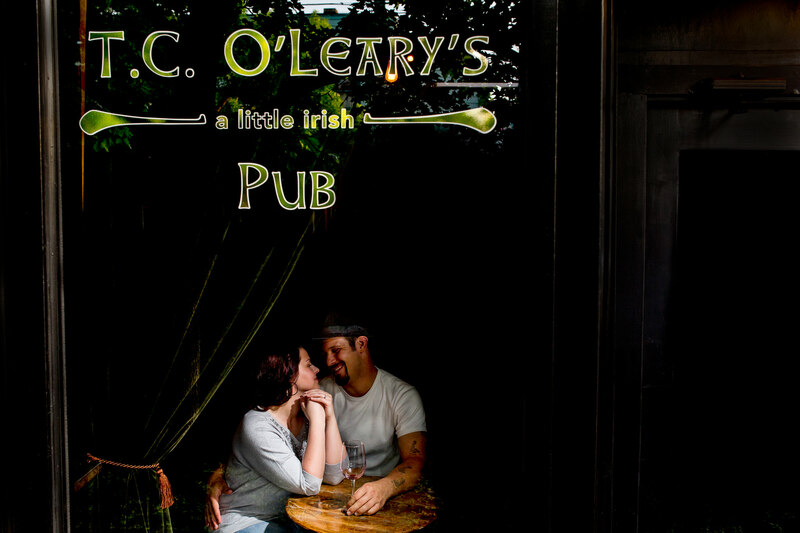 Having this quality time with them set the stage so beautifully for us to photograph their wedding at Postlewaits on July 30th, 2017.